Kapoor family is currently in deep sorrow after the demise of their family guide Krishna Raj Kapoor. Also, Rishi Kapoor is now in the USA for his medical treatment. We know that the Internet is a place where a lot of rumours are created and whenever it is related to a celebrity, the news goes trending all over the web within no time. The same happened when Rishi Kapoor tweeted that he is going to the USA for his medical treatment. After this tweet of Rishi, there were rumours made that the actor is diagnosed with cancer. It was speculated that he was suffering from the third stage of cancer. Rishi is accompanied by his wife Neetu and son Ranbir and as the trio was missing at Krishna Ji's funeral this added more fuel to the rumours. 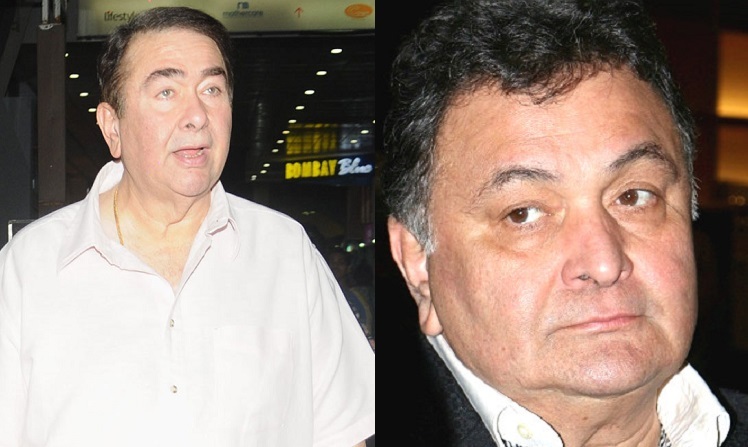 But in a recent interview with ETimes, Rishi's brother Randhir Kapoor has dismissed the reports saying that the Kapoor And Sons actor himself doesn't know what he is suffering from. "We don't know yet what is the exact nature of his ailment. Rishi himself doesn't know what he's suffering from. He has not even started undergoing tests there. How can people speculate that he has cancer and that too, one that has escalated to an advanced stage? Let him undergo tests peacefully; whatever the results, we will let everyone know." He further added that currently, the actor is preparing for the tests he has to undergo. "Depending on what the results are, his line of treatment, medication and other modalities will be decided upon. It's not fair to speculate things just like that." Parineeti, Arjun and Vipul SPEAK UP for the MeToo movement Nawazuddin Siddiqui's KIND GESTURE for a Female Fan is PRICELESS!